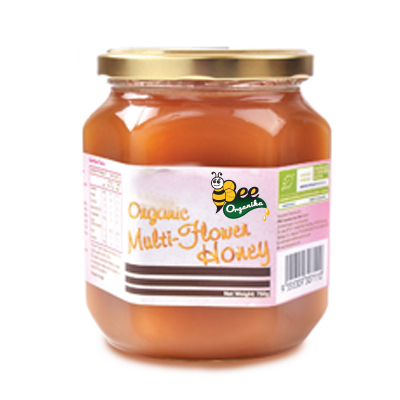 Bee Organika’s Royal Jelly with Honey is a special super food. When worker bees decide to make a new queen, because the old one is either weakening or dead, they choose several small larvae and feed them with copious amounts of royal jelly in specially constructed queen cells. This type of feeding triggers the development of queen morphology, including the fully developed ovaries needed to lay eggs. Here are some of the specific royal jelly benefits. According to a 2001 study published in the journal International Immunopharmacology, royal jelly can help boost the immune system. In the study, histamine response to allergens was immediately suppressed, showing that it may help relieve seasonal allergy symptoms. Recent research indicates royal jelly may improve short-term memory because it’s demonstrated to have a beneficial role on neural functions. We know that Alzheimer’s disease is associated with impairments of learning and memory, which is why this study published in Advanced Biomedical Research was designed to examine the effect of royal jelly on spatial learning and memory. Because the brain tissue contains a lot of unsaturated fatty acids that are especially vulnerable for free radical attacks, the antioxidant substances found in royal jelly can play an important role in prevention and cure of neurodegenerative diseases. That includes working as a potential Alzheimer’s natural treatment. Royal honey appears to have a valuable effect as a source of bifidobacteria, which is the beneficial bacteria that supports the health of the gastrointestinal tract, making it a useful probiotic. Clinical studies have associated other beneficial effects, such as immune enhancement and anti-carcinogenicity, with the presence of bifidobacteria in the GI tract. 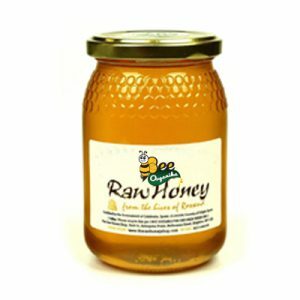 The unique composition of honey suggests that it could enhance the growth, activity and viability of bifidobacteria in fermented dairy products. Research shows that taking royal jelly can help reduce menopausal symptoms and improve feelings of well-being in menopausal women. The combination of royal jelly, evening primrose oil, damiana and ginseng may also decrease menopausal symptoms. A study conducted by the Department of East-West Medical Science at Kyung Hee University in Korea reports that royal jelly regulates skin photoaging following exposure to ultraviolet-B radiation. The anti-aging effects on the skin were assessed by determining the collagen content and epidermal thickness of skin tissue. The level of procollagen type I protein was increased in the subjects that were fed with a dietary supplement containing 1 percent royal jelly extract. These findings indicate that royal jelly may protect against skin aging by enhancing collagen production. The Department of Orthopedics and Traumatology, Medical Faculty of Erciyes University in Turkey aimed to investigate whether royal jelly and bee pollen reduce the bone loss due to osteoporosis. Bone mineral density was measured, tissue samples were taken and blood samples were collected for the study. This helped determine bone calcium and phosphate levels with imaging through a scanning electron microscope. There were significant differences found that showed positive bone health in the lumbar spine and proximal femur in the royal jelly and bee pollen groups. Bone tissue calcium and phosphate levels were higher, as well, indicating that royal jelly and bee pollen may decrease bone loss due to osteoporosis. Honey has long been known as an aid in wound healing. Studies reveal that royal jelly has significant benefits in wound healing as well. In a 2010 study, a wound was promptly treated with royal jelly at varying concentrations for up to 48 hours, and migration was analyzed by evaluating closure of the wound margins. Furthermore, altered levels of lipids, which were recently reported to participate in the wound-healing process, were analyzed. Migration of fibroblasts peaked at 24 hours after wounding, and royal jelly treatment significantly accelerated the migration of fibroblasts within 24 hours. Ultimately, the research demonstrated that royal jelly enhances the migration of fibroblasts, a cell in connective tissue that produces collagen and other fibers, and alters the levels of various lipids involved in the wound-healing process. Research published in the Avicenna Journal of Phytomedicine evaluated the protective effect of royal jelly on sperm parameters, testosterone levels and malondialdehyde production in mice. Sperm count, sperm motility, viability, maturity and DNA integrity were analyzed in the study. The findings suggest royal jelly treatments can improve male fertility. There have been a few studies suggesting that royal jelly may improve some type 2 diabetes markers in both men and women. In a randomized clinical trial, 40 patients with type 2 diabetes were assigned to receive either 10 grams fresh royal jelly or a placebo after overnight fasting. Though the effects were not immediate and more studies are needed, there were some changes in glucose levels that may benefit type 2 diabetics, indicating that it may work as a diabetes natural treatment. Studies indicate that royal jelly can aid in the healing time in patients receiving radiotherapy and chemotherapy. Combined with standard mouthwash therapy, it was shown to improve symptoms of oral mucositis. Data suggests that topical application of films that contain royal jelly had a healing effect on the severe oral mucositis and that the effect was caused by its anti-inflammatory or antioxidative activities.